In the leadup to next years’ Federal Government election in Australia, the debate has restarted about the size and shape of Australia’s migration program and future population. The Home Affairs Minister, Peter Dutton, has said the Government already had and would continue to reduce migrant numbers where he believes it is in the national interest, citing traffic gridlock, unaffordable housing in cities and pressure on infrastructure. The call to cut migration numbers is also coming from the opposition party which is calling for a significant reduction in the numbers going forward. 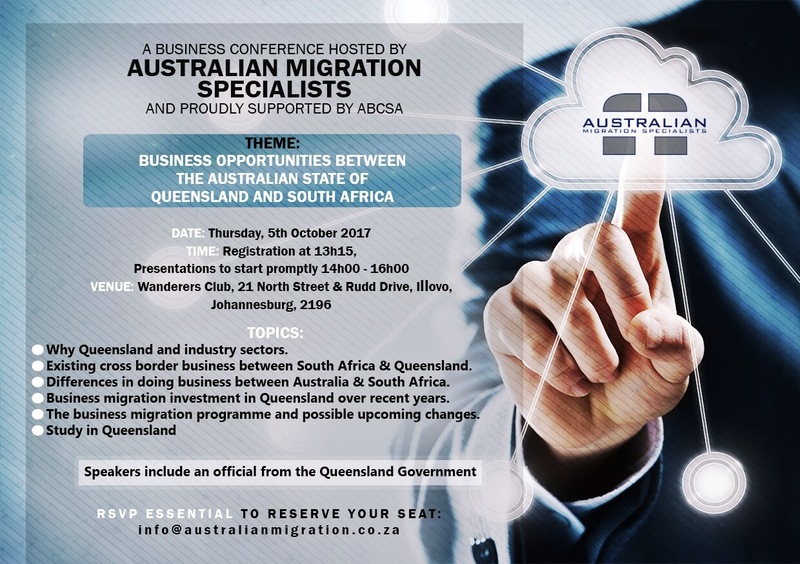 Minister Dutton has also stated that he is looking at reducing Business Migration numbers to Australia in line with an overall reduction in migration numbers. Dutton’s Department has already presented him with proposed changes to the Business Program details of which are expected to be released at any time, but possibly in November. It is expected that the requirements will be tightened so as to reduce business migration numbers. Join us on 25 August 2018 at 10.00am to find about more about these proposed changes and to discuss in more detail. Booking Is Essential – Please Call 011 783 9440 To Avoid Disappointment. To check the existing Business Migration requirements click here. It is important to note that the Skilled Occupation List and State Migration Occupation Lists change on fairly regular basis. Don’t miss your opportunity to migrate to Australia, apply while your occupation is on one of the lists.